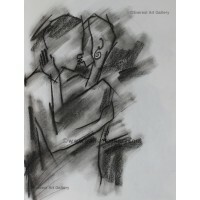 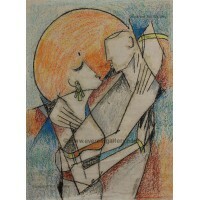 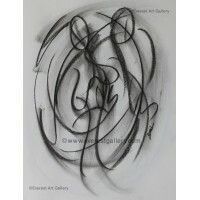 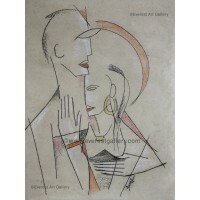 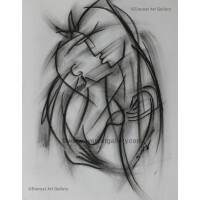 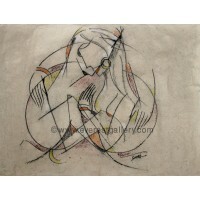 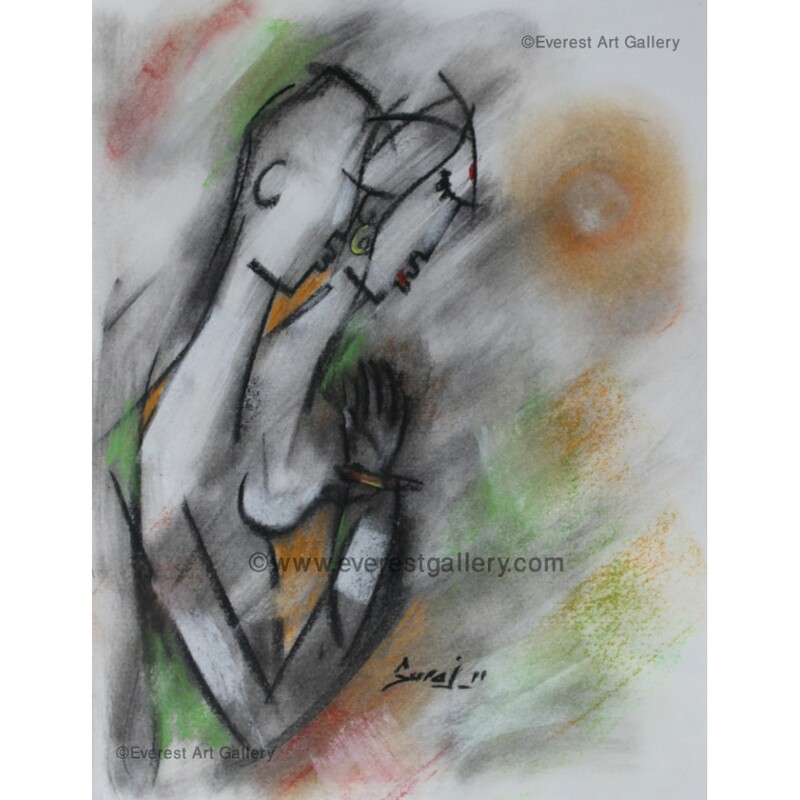 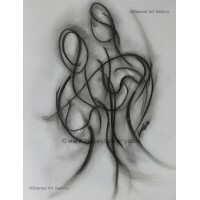 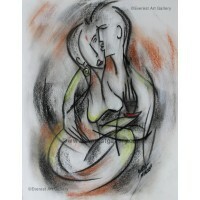 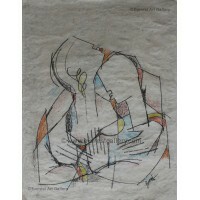 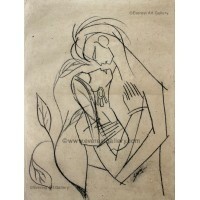 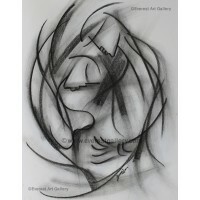 A figurative sketch painting of romantic couple in love is painted with charcoal and soft pastel on paper. 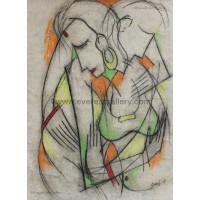 This is modern sketch painting painted by artist Suraj Prakash Sainju. 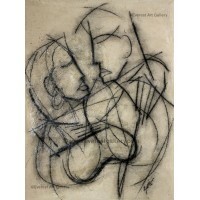 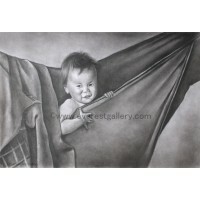 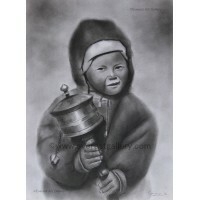 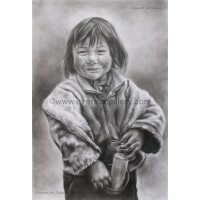 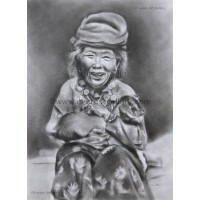 The artist has successfully expressed the deep tenderness of love between the couple with the help of charcoal drawing and blending of soft pastel.